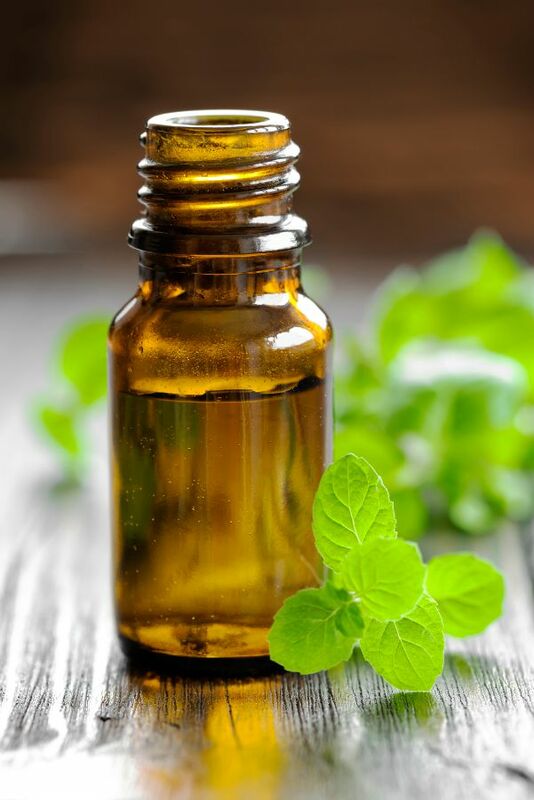 Home » October Unprocessed Posts » Food For Thought » Do Essential Oils Really Work? Whenever we’re thinking about putting something on or in our bodies, it’s good to be skeptical and check out all the ingredients and available facts. Sometimes synthetic medications – whether over-the-counter or prescription – are necessary. Other times, we can reach for something more natural that may not have as many side effects. Until last year, I was frustrated because I had completely cleaned up my diet and gotten all the toxins out of my house, but when I got an occasional headache it seemed like my only option was over-the-counter medication. Then I was introduced to therapeutic-grade essential oils and learned that they can be used to support the immune system, for healthy cell support, respiratory support, digestive support, and the list goes on! As for the effectiveness of the oils, I personally don’t think essential oils should ever take the place of a nutrient-dense diet, but I think well-made, therapeutic-grade oils from a reputable source can help aid the body in recovery and promote better health. It’s also been a priority of mine to create my own all-natural first aid kit for the family and I’ve found that therapeutic-grade essential oils can be a wonderful addition. I encourage you to do your own homework. There are tens of thousands of research articles explaining the benefits of pure essential oils. 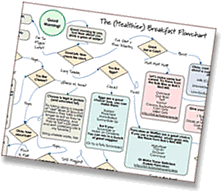 The book The Chemistry of Essential Oils Made Simple by David Stewart is a fabulous resource. This book helped me understand the chemical properties of essential oils and how they work in the body. I’ve also found the site NAHA very helpful. For occasional headaches – I apply Frankincense, Basil and Soothing Blend to the back of my neck and temples. To support the immune system – I rub a few drops of Melaleuca, Lemon and Frankincense on my feet. For the occasional upset stomach – I rub a few drops of Digestive Blend on my stomach. For a peaceful night’s sleep – I rub a few drops of calming blend and Lavender on my feet before going to bed. 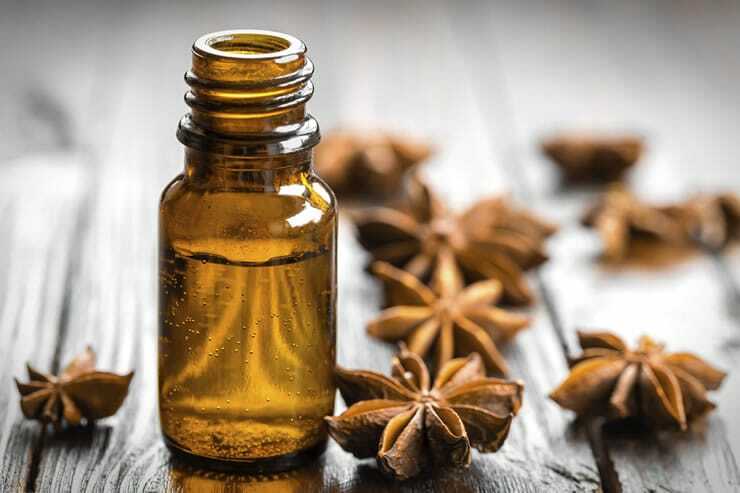 For first aid – I use a drop of Clove and Lavender and rub it directly onto the occasional cut or scrape. If you use essential oils, please share your favorite ways to use them for you and your family! 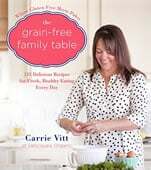 Carrie Vitt is a Nutritional Therapy Practitioner, the author of the successful cooking blog Deliciously Organic, and has authored two cookbooks: Deliciously Organic and The Grain-Free Family Table. After struggling with health issues for years, she turned to an unprocessed, grain-free diet and has been able to overcome Hashimoto’s disease, chronic migraines, IBS, and eczema. You can also find Carrie on Facebook, Instagram, and Pinterest.